Kogi State Peoples Democratic Party (PDP) has dismissed the claims by the state government that two former governors of the state under the party embezzled N4.3 billion pension fund, describing the allegation as baseless and an antic to hide its maladministration. The party, in a statement by its Director of Research and Documentation, Achadu Dickson, said the Bello administration was only looking for avenue to hide its incompetency, especially its inability to pay workers and pensioners. The party said on the contrary, pensioners were better off under the PDP administration in the state. The statement reads apart, “Once again, attention seekers and barefaced liars are on the prowl in the Confluence State. After currying public outrage over its inability to pay workers’/ pensioners salaries and particularly sucking from the burden of a controversial screening and staff verification exercise, the Yahaya Bello administration has retooled its jaded and largely discredited propaganda machinery. For the umpteenth time, its target is the People’s Democratic Party, PDP and her Two former Governors in the State, Alhaji Ibrahim Idris, CON and his successor, Capt. Idris Ichalla Wada. 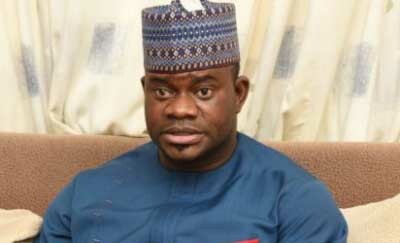 “The government’s latest antics is contained in a series of media reports credited to Kingsley Fanwo, Director General Media and Publicity to Governor Bello, in which he claimed government had uncovered a N4.3bn pension fraud. In short, Fanwo laboured in vain to shift the blame of non payment of gratuities and pension allowances of retirees by his boss, to the former governors. “Yahaya Bello’s inability or unwillingness to meet its financial obligations to workers. Pensioners and contractors is legendary. Each time the government makes an attempt to explain it away, it comes off worse and more laughable. 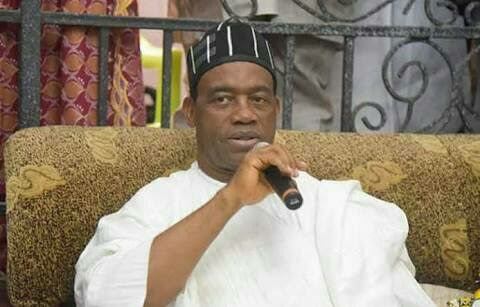 “The Nine years Alhaji Ibrahim Idris governed Kogi, still remain the golden years in the history of the State. Under him pension funds were judiciously applied and pensioners were paid their monthly allowances as and when due. His administration also introduced pension reforms that ensured retiring staffs were immediately placed on pension starting from the month they retired. In addition, he increased pension benefits through the introduction of relativity, which ensured the least paid pensioner earned a living minimum pension up from the paltry allowance they were being paid. “Due to the high figure of outstanding gratuity benefits which he inherited and paucity of funds, gratuities were scheduled on the basis of first come, first served subject to availability of funds. The administration religiously implemented the gratuity time table fairly without let or hindrance. Certainly, Ibrahim Idris did not supervise the mismanagement of pension funds or any funds for that matter, as erroneously alleged by Governor Bello’s garrulous spokesperson. The party also chronicled some of the achievements of the two former governors whom they stated, dwarfed the performance of the present APC led government, “It is on record that Alhaji Ibrahim Idris supervised one of the most thorough and prudent administration’s in the history of Kogi State. The administration’s human capital package was superb. For the Nine years he was in the saddle he cleared Three months salary and pension arrears which he inherited, paid salaries, pensions, impress, leave bonuses and other emoluments as and when due, and was the first to implement the N18,000 minimum wage in the North. “The administration also paid bursary WAEC/NECO examination fees for all eligible students even as it did not default in its responsibilities to contractors. The greater Lokoja water scheme, International Market, Specialist Hospital, Confluence Stadium, State Secretariat Phase II housing estates and others too numerous to mention still set the Ibro years aside. It is worthy of note that Alhaji Ibrahim Idris, did not obtain any foreign or bank loans and could not have bequeathed any. Again, we challenge Fanwo to furnish the public with any contrary details or issue an apology to the former governor. “Fanwo in his futile attempt to justify non-payment of salary/pensions in the State ended up playing the ostrich. Not surprising though, since the government has been running from pillar to post on this issue. First it was ghost workers that over bloated the wage bill, then began the longest screening and staff verification exercise in the history of any people which is yet to be concluded three years after. The administration is now blaming the non payment of salaries on inherited debts and embezzled pension funds. “This government should halt the charade, stop maligning the hard earned reputation of others and face up to its duties. Kogi people who are owed between 4 – 27 months are wailing and tired of excuses. The Bello administration should start thinking of how to account for the Bail out funds, balance of the 20bn bond, ecological funds, Paris Club refunds, federal project refunds and the monthly allocations it had frittered away in loose living. It’s death knell is close.